Pat Preedy is GEMS Chief Academic Officer of Early Childhood Education/Little GEMS International, Early Childhood programme for babies and young children, based on extensive research into early years’ development. Pat has had a long and distinguished career in education including being Executive Principal of a school catering for pupils from 3 months to 18 years including boarding, Head Teacher of a Beacon School, Chair of the Solihull Partnership of Schools and a reporting Inspector for ISI (Independent School Inspectorate). Pat completed her Masters in Educational Management particularly investigating how schools can work in partnership with parents and a doctorate in Education. Qualified with the Institute of Neuro-Physiological Psychology, Pat has spearheaded several projects including developing leadership, performance management and change management, Neuro-Developmental Delay – the link between movement and learning and Accelerated Learning As Honorary Research Consultant for Tamba (Twins and Multiple Births Association) Pat has conducted extensive research into meeting the educational needs of multiple birth children. She was also part of the team that developed the performance indicators in primary schools value added baseline assessments (University of Durham CEM centre). Currently Pat is leading a global initiative with Cache (Council for Awards in Health and Education) to train early years practitioners in settings and a Masters programme with ISA (Independent Schools Association) and The University of Winchester. Pat is well-known as a keynote speaker on all of these areas as well as conducting practical workshops on all aspects of early childhood. 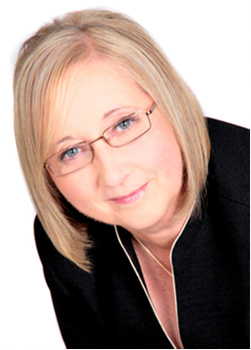 As Chief Academic Officer for GEMS UK, Pat is responsible for: chairing the GEMS UK Governance Board; liaising with Headteachers, researching educational agendas; developing and sharing effective practice; co-ordinating educational benchmarks; analysing key data for monitoring and school improvement purposes; preparation for school inspections; liaising with inspections teams. The role of Chief Academic Officer also includes the development of Early Childhood Education and the expansion of ‘Little GEMS International’ pre-schools across the GEMS regions. This work includes developing the Early Years curriculum including unique programmes in movement, languages, music and Information Technology to enhance the cognitive development of young children. “I have had the pleasure of working with Professor Pat Preedy for seven years and her vast knowledge and holistic approach really enables children of all ages, abilities and backgrounds to grow, develop and succeed. “Her research skills have ensured that multiple birth families and professionals alike have a far better understanding of how siblings and their parents interact. In turn she has been at the forefront of improved understanding of how best to cater for twins, triplets and more’s social, emotional and physical developmental needs.